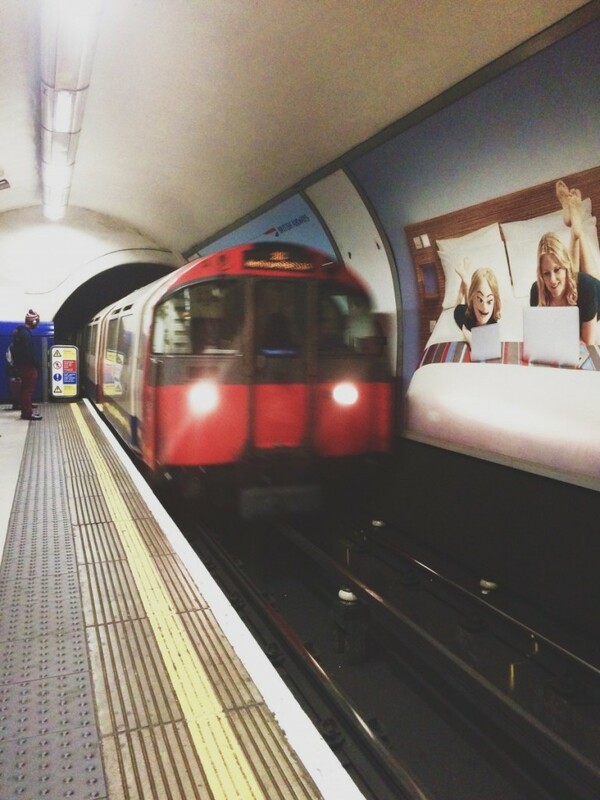 the aim is to visit all 64 london underground stations that form oyster card zone 1 in the fastest time. 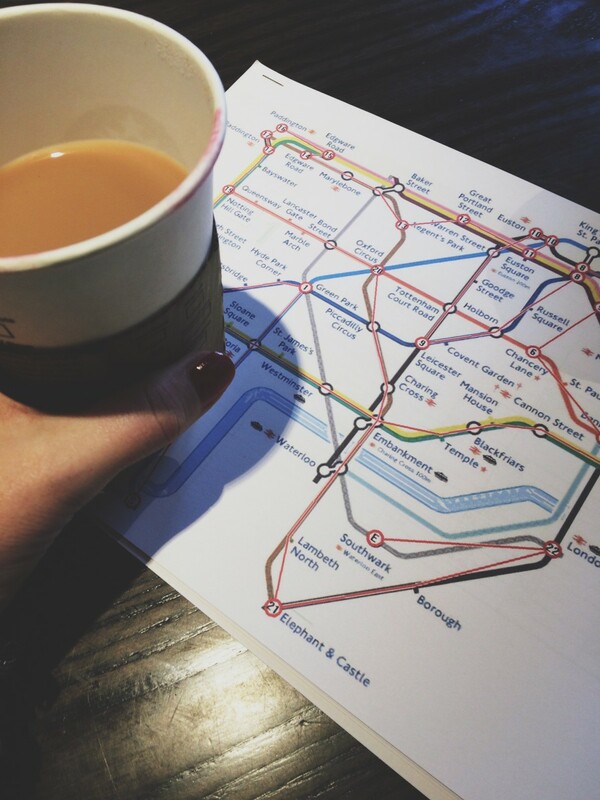 so we got planning with the help of geofftech and the trusted tfl route planner. 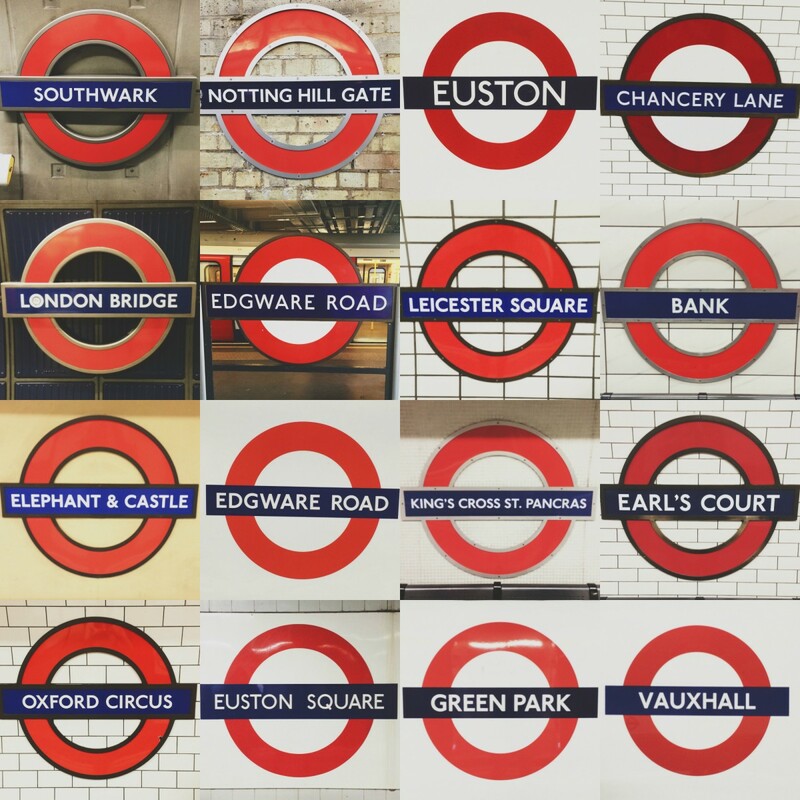 we plotted our start, our 22 changes, covering ten different tube lines until we finished. that is actually all of them apart from the waterloo & city, which by the way is the line with the fewest stations, just two, bank and waterloo. i know i’m full of great information like that! we had a quick huddle over a cup of tea before we set off, double checking we had all that we needed for the day and confirming that yes it was correct that we are all slightly crazy for wanting to spend such a long period of time on a tube train. 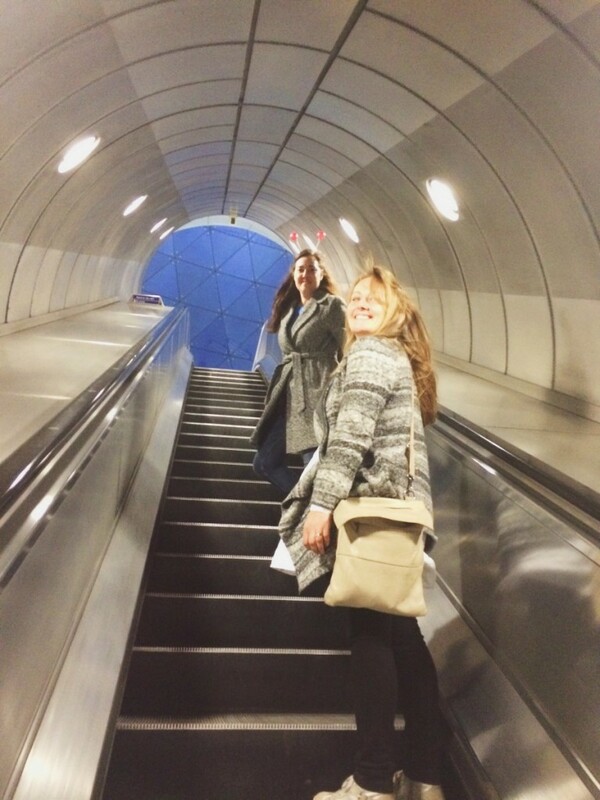 so at 11am we started at vauxhall heading north on the victoria line. 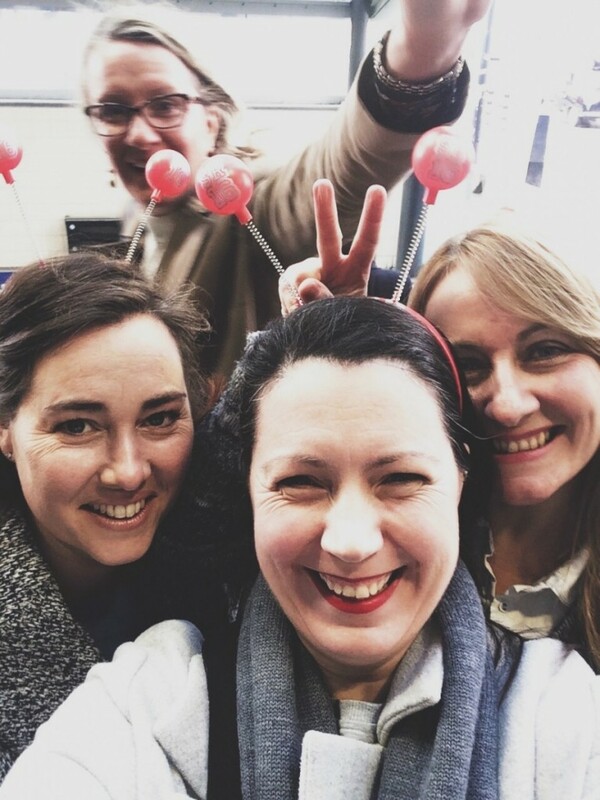 however there was still time for a quick selfie at vauxhall tube station entrance, with a happy photo bomber, clearly mesmerised by our deeley boppers. 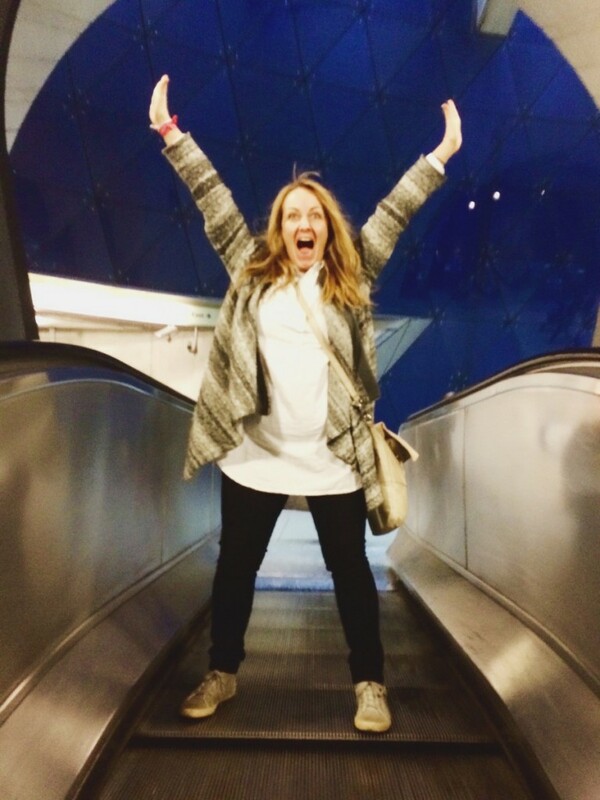 the doors shut on our first tube at 11.06 and we headed north on the victoria line. we then whizzed west then east. 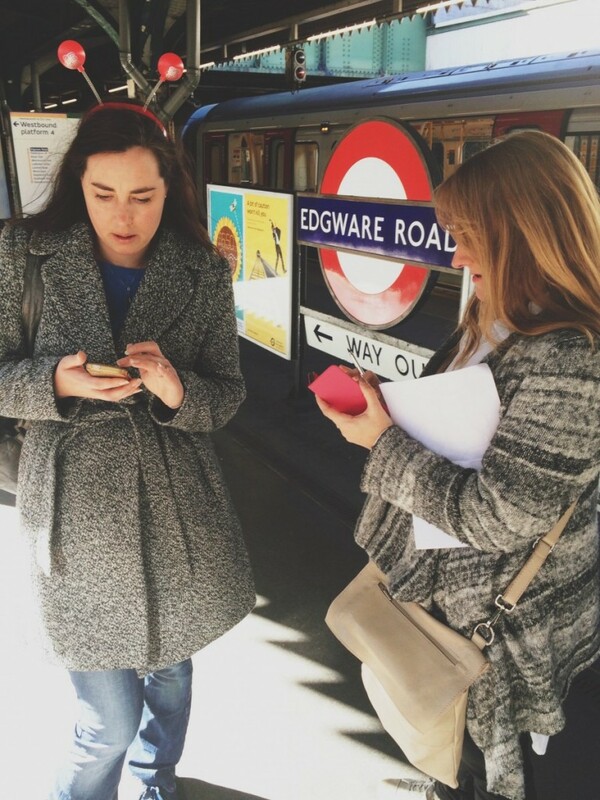 during a swift transfer from aldgate east to aldgate, liz lost her train ticket so we had a quick detour to the ticket machine, whilst sarah and i were quizzed by a couple of intrigued tube workers and then it was off again, this time heading back west. 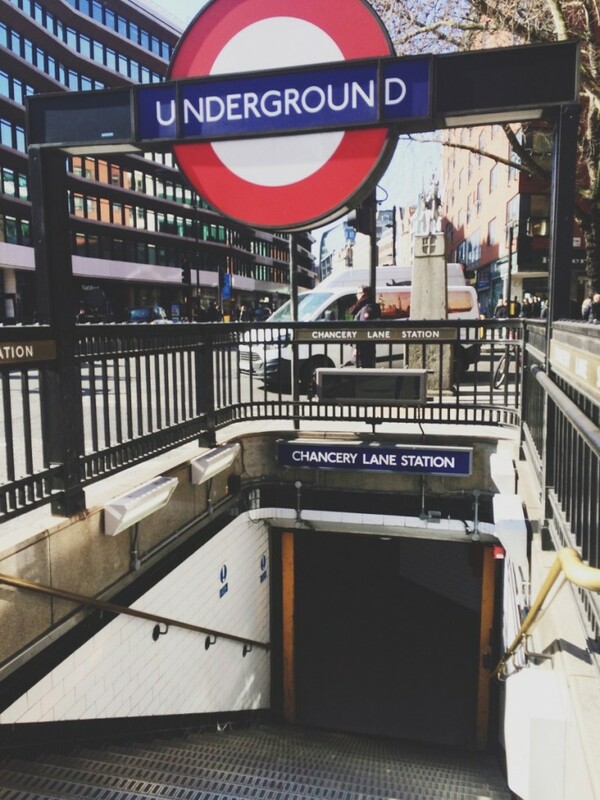 on arriving at chancery lane at 12.26, we saw that on circle, district and hammersmith and city line there were minor delays, which wasn’t great news as the delays were all in the direction that we were travelling. deep joy. 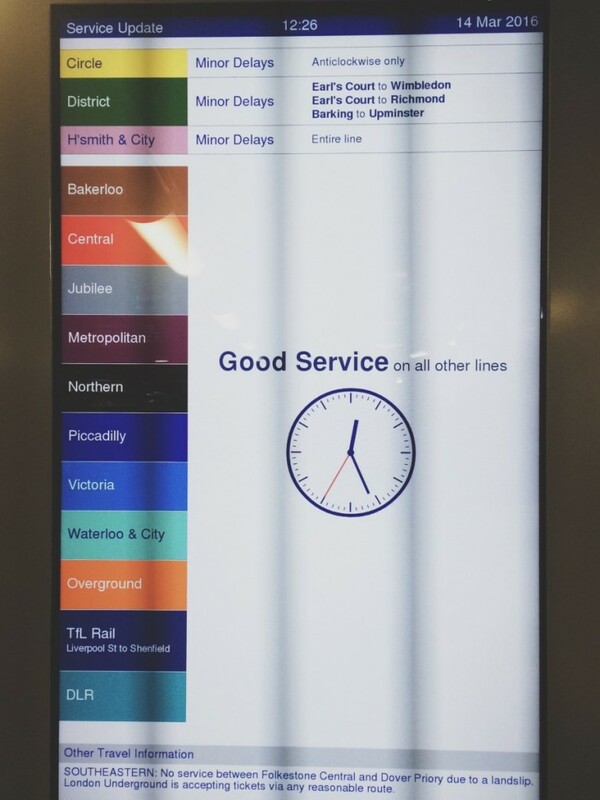 trains were slower than normal and the waiting times between changes longer than we had planned, but we had caught up some time earlier in our travels so we were still just about on track. 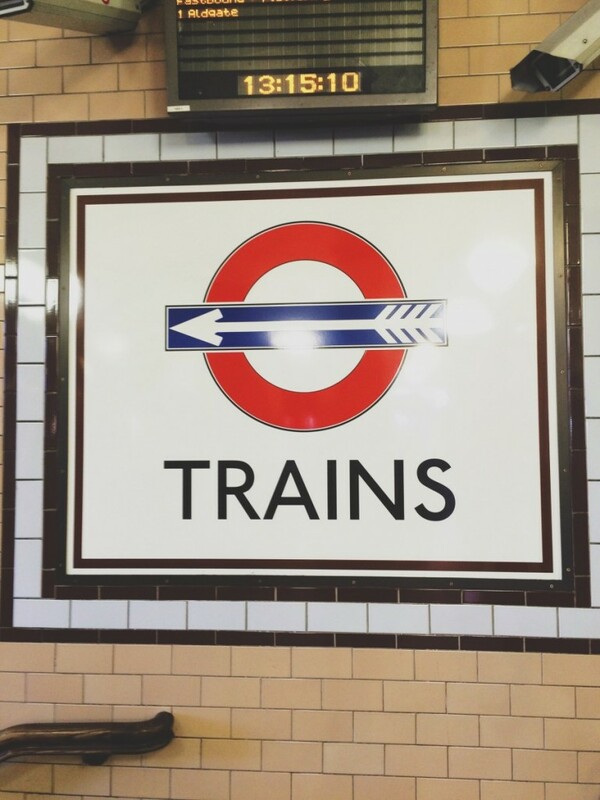 it wasn’t until we arrived at the edgware road change to the hammersmith and city line that we really started to lose some time, as the delays on this line were clearly now making quite an impact. however it gave us a chance to breathe some much-needed fresh air and also catch up on a spot of social media. 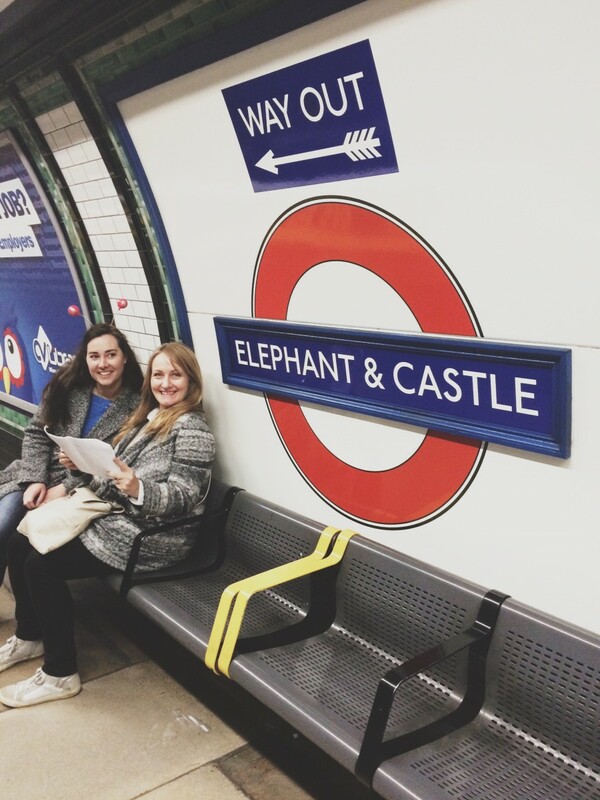 then it was south a bit, north a bit, east a bit and then all the way south to elephant & castle. we were by this point a little bit tired, and our eyes, noses and throats feeling the brunt of the poor air quality. still enough to raise a smile though as we were pretty much on the home run. 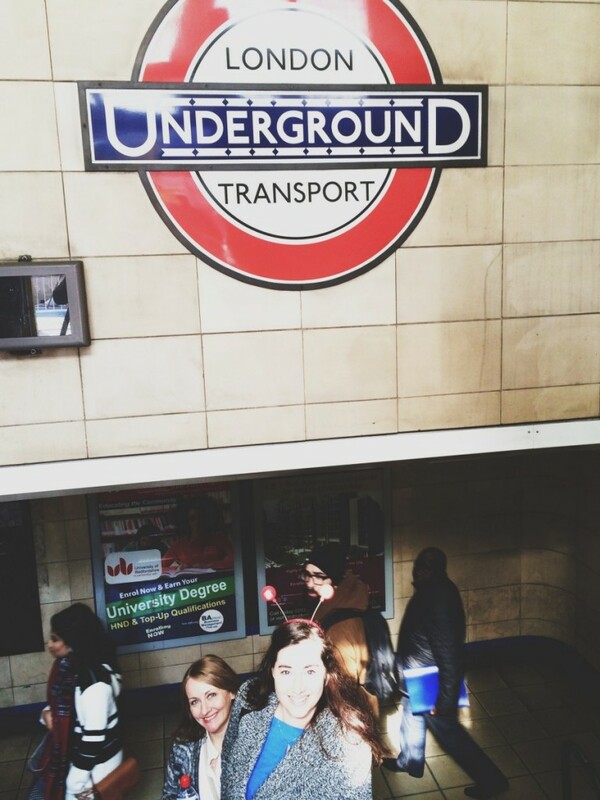 now it was merely a hop, skip and a jump to london bridge and then the jubilee line to southwark our final stop. our finishing time 3:37:57. not a patch on the record, but you know what? a bloody good time for our first attempt and we completed it, we were overjoyed! so if that has inspired you to donate some money to our sterling effort, you still have plenty of time to do so and you can do so by following this link Team Honk Tube Challenge absolutely every penny counts. may i also take this opportunity to thank all our sponsors to date. we are very thankful for you support and your generosity. £25 provides a young person in the UK who has faced domestic abuse with a one-to-one counselling session to help them overcome their ordeal. £50 sends a disadvantaged young person in the UK on a sports coaching course, giving them the skills they need to find work.